After three long years of filming, the boys from Freeride Entertainment and Red Bull Media House unleashed their movie Where the Trail Ends. Cam Zink, Kurt Sorge, James Doerfling & Cam McCaul hung on tight while filming on the Fraser River in B.C. Darren Berrecloth. Shooting for WTTE. James Doerfling heading on up. In November, Freeride Entertainment’s Brad McGregor accepted the X-Dance Film Festival award for Best Cinematography for Where the Trail Ends. Jeremy Grant of Freeride Entertainment, in orange, won the X-Dance Film Festival award for Best Director for his work on WTTE. Here Grant interviews Cam McCaul while Axl Fostvedt films and Greg ‘Soundo’ Picard gets the sound. Bald eagle on the Fraser River. Filming in February with Darren Berrecloth on Vancouver Island. 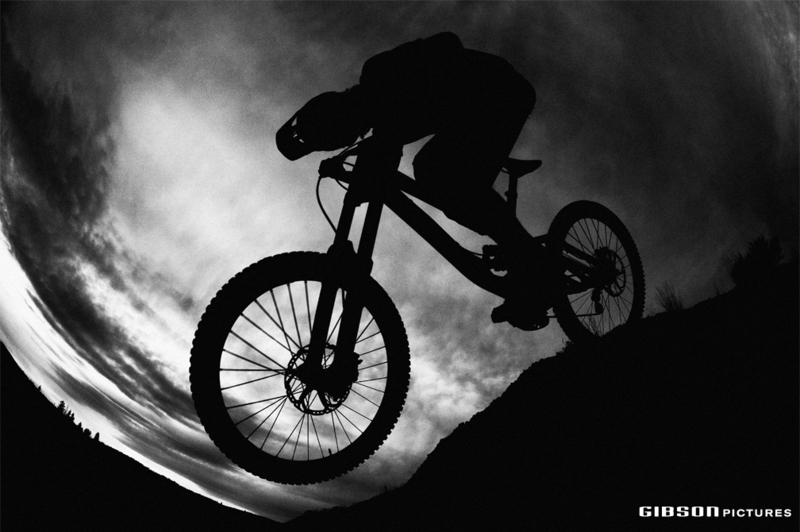 Then off to Kamloops to shoot with Graham Agassiz. After hours with Matt Miles. Filming with Spencer Paxson for Kona. Joe Schwartz leads Spencer Paxson & Sarah Butsch. Geoff Kabush at the Quebec World Cup. He went on to a 8th place finish at the London Olympics. Jose Antonio Hermida took the lead away from Nino Schurter on the last lap. But Schurter took it back just before the finish line. Danny Hart jumped the roots in the downhill qualifier. Emmeline Ragot of France won the Ladies DH. Stevie Smith was 7th in Quebec but won the World Cup Finals in Norway. Aaron Gwin won Quebec and Danny Hart took third. Greg Minnaar was second. Catharine Pendrel won the Ladies XC Race. Back in B.C. shooting photos in Matt Hunter’s garage. Matt Hunter getting his bike dialed. Tinker Juarez came to Alberta in February to promote the 24 Hours of Adrenalin and take part in a dogsled race. Troy Brosnan, closest to camera, and Bryn Atkinson battle during Crankworx Dual Slalom. Casey Brown won the Ladies race at the Crankworx Canadian Open Downhill. Cam Zink. 2012 Crankworx Joyride. Thomas Genon double tail-whipped his way to first place at Joyride. Cam McCaul, Genon & Martin Soderstrom party on the Joyride Podium. Thomas Genon. 2012 Crankworx Joyride Champion. On the water with Garett Buehler in Nelson, B.C. Motocross stars Davi Millsaps and Martin Davalos did the Transrockies Bike Race. They were joined by Ezra Lusk, trainer Pablo Toribio and moto mechanic Ben Shiermeyer. Davi Millsaps happy after Stage 1 in Fernie, B.C. Martin Davalos lead Ezra Lusk and Davi Millsaps up the final climb on Stage 3. Thomas Miller and Karen Libsch rode Transrockies on a tandem. Chris Sheppard attacked on Stage 3 to take the win. Neal Kindree of Squamish, B.C. won the overall Transrockies TR3 & TR4 Solo titles. Then onto Utah and the Red Bull Rampage. Kurt Sorge heading on up. Cam McCaul sent the canyon gap. Kurt Sorge hit the Oakley Icon Sender and had two perfect runs. Kurt Sorge won 2012 Red Bull Rampage. 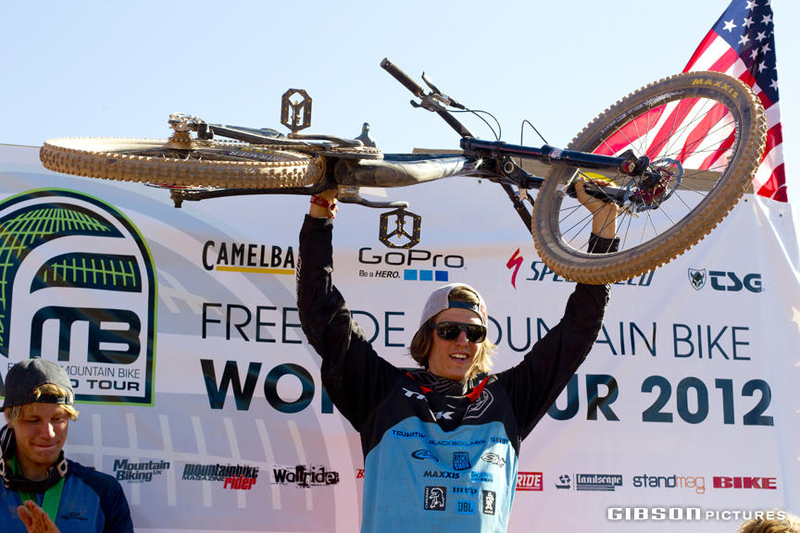 And Brandon Semenuk won the overall 2012 Freeride Mountain Bike Tour title. There’s a few more stories now to tell around the campfire. That’s all for now from 2012.